Life Love Larson: Let's Talk Laundry! Real catchy title, right? Just makes you want to dive in and read all about that exciting topic of laundry, right? Ha! I've recently been on a purging and organizing kick, and I did several instagram stories in our laundry room. 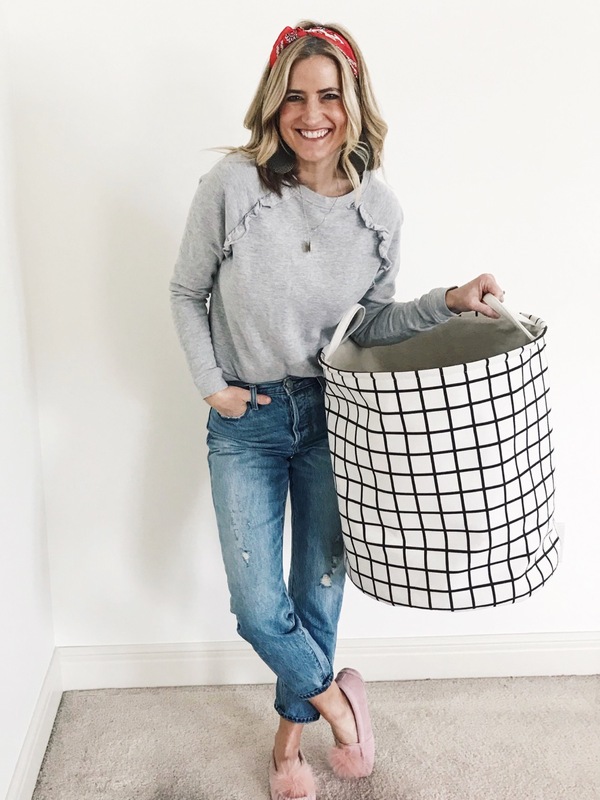 I had lots of questions about my laundry habits, what I use for laundry bins, etc., so I thought I would put it all down in one post! And apologies for the bad lighting in these photos! No natural light, so I have to keep all the lights on! Also, I'm showing you this is real life with clothes hanging to dry! We all live like this, so why not just show it! For starters, I'm a weirdo and I like to do laundry. I know. There are many home tasks I despise like dusting and emptying the dishwasher and making my bed. Yep, never do that unless I need to take pics! Eventually I will teach my kids, who are currently 10 and 11, how to do laundry, but for now, I'm kind of possessive about how I like things done in the laundry room. It's my little space and I find it calming to fold laundry. Second, our laundry room is not huge. 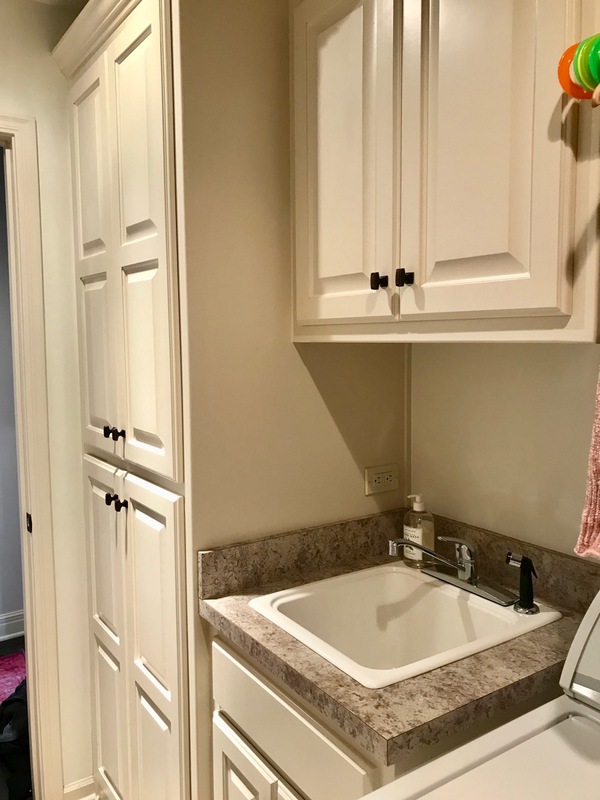 We live in a larger than average home and I have an obscenely large master bedroom, but for whatever reason our builder didn't believe in large laundry rooms. If it were up to me, I'd take a huge chunk of master and switch it over to the laundry room (shared wall). That's never going to happen, so I work with what I've got! Our laundry room is upstairs where all the bedroom are which is nice and convenient, but alas, no windows. So, we just painted the room white in the hopes to brighten up the space (more on that later). Told you it was small. But I do have a sink and quite a bit of storage, which I love. And speaking of storage, here is what I store in the laundry. 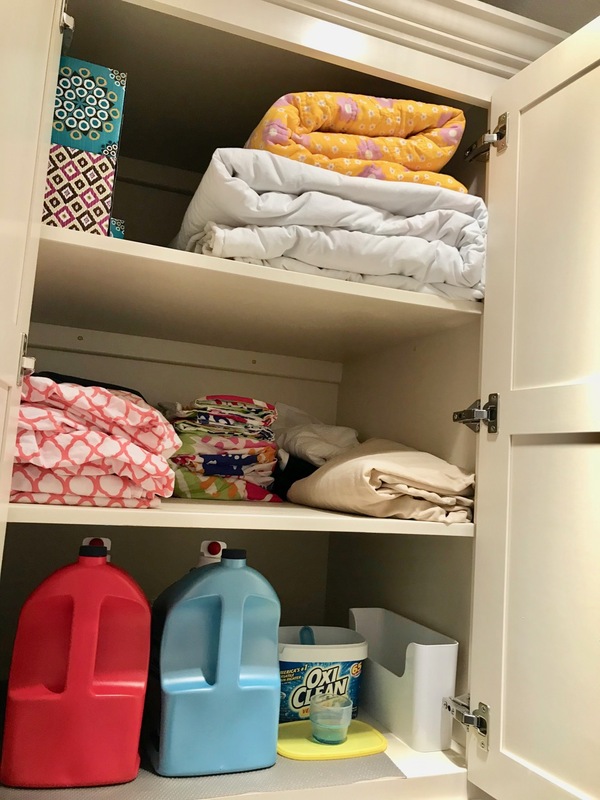 Upper cabinets get twin/queen sheets, extra shower curtains, tissues, extra blankets, and laundry detergent. 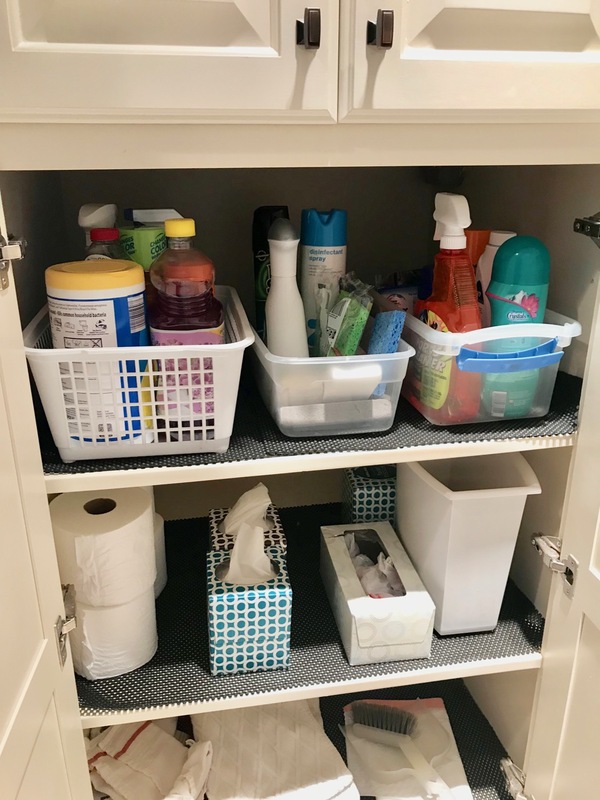 Lower cabinet houses cleaning supplies, old towels to clean up messes, trash, and small broom. 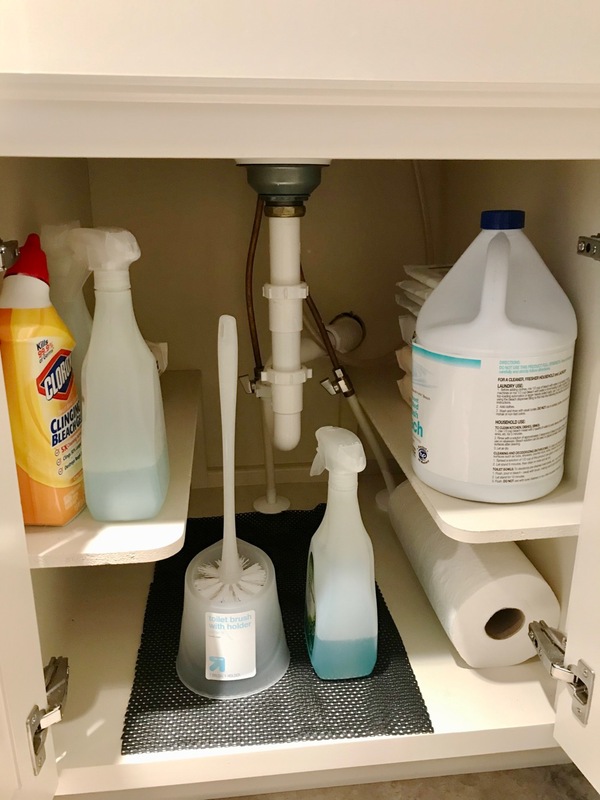 And below our sink we have more cleaning supplies and bleach! Real exciting stuff, right?! The more I open up little nooks and crannies of our home on instagram stories, more and more of you are curious and asking questions. It's fun to know how other people live! I forgot to open the cabinet above the sink and take a picture, but that house pillow cases and kind sized sheets for our bed. We store bath towels in a different location. 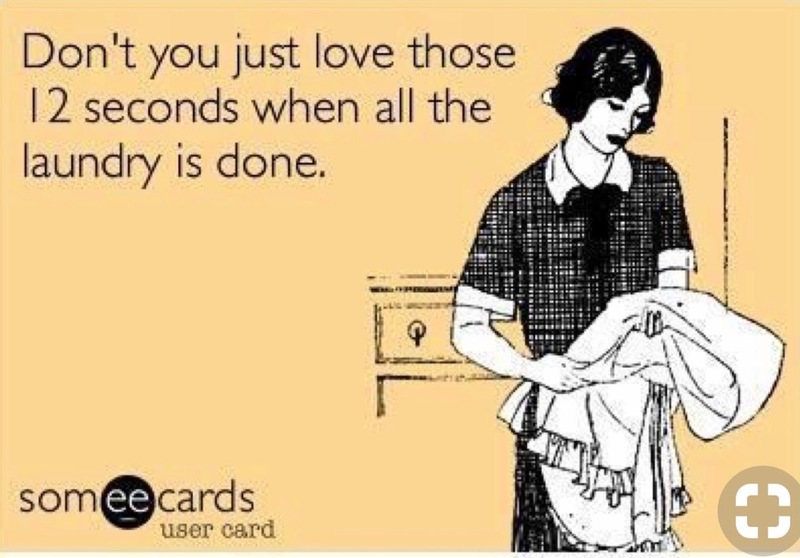 I LOVE having a sink in the laundry room for hand washing items and to throw wet towels in in a pinch. Now on to a few more bullet points on how I manage the laundry at our house! Side note: we are a family of 4. 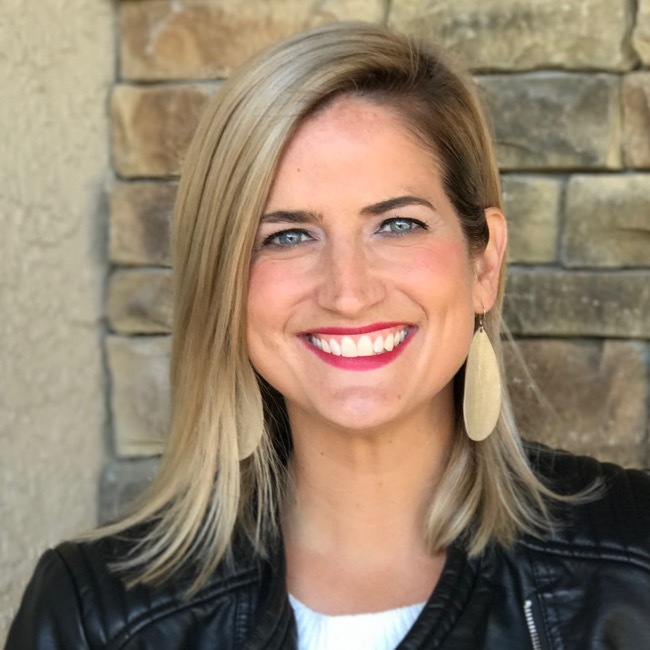 I know everyone's homes and kid situation and needs are different. This is how we do things! 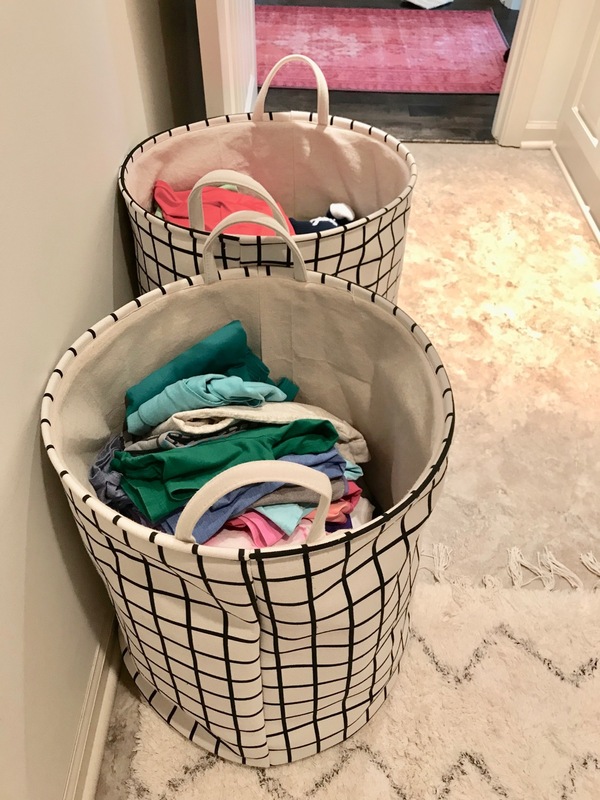 Kid's Laundry Baskets: Our kids each have a laundry bin in their closet in their room. Both are tall rather than wide. All clothes go in one bin, both lights and darks, everything. I also have two fabric bins that stay in the laundry room. After I fold kid laundry, it gets separated into the two bins. 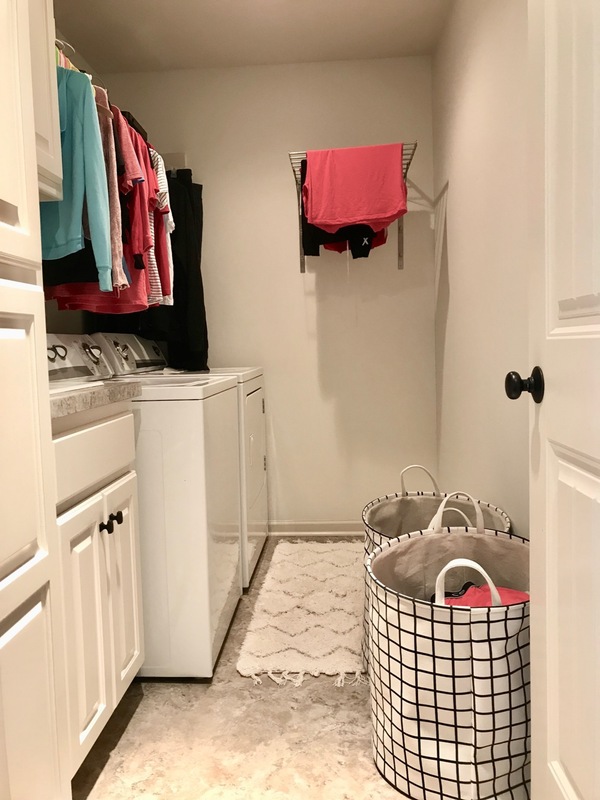 The kids are required to come to the laundry room, grab their bin, take it to their room, empty and put away clothes and return the bin to the laundry room. This system has been working out so great!! Steve and I have two tall fabric bins in our master closet. One of the bins holds all clothes, the other bin holds dirty sheets and towels. The kid's dirty sheets/towels also get placed in this bin. I love having these items sorted out. Excuse the disarray of purses! 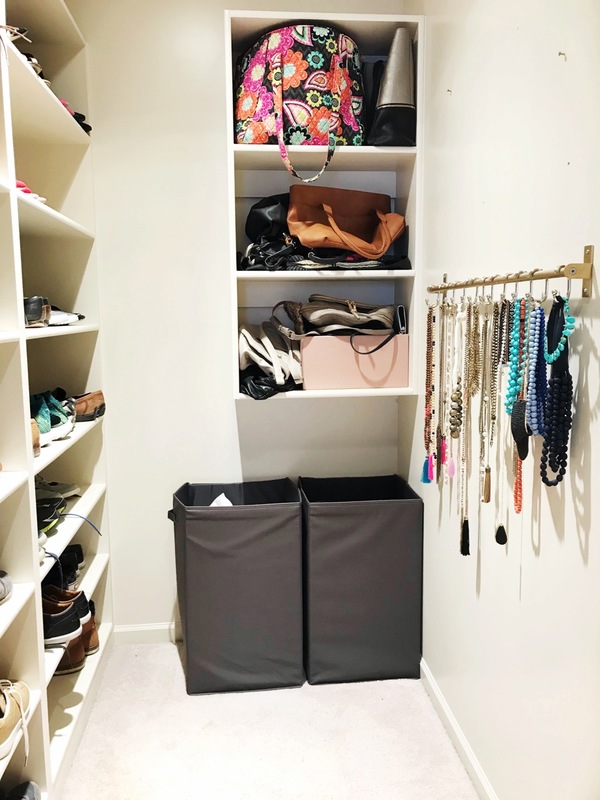 I haven't purged/organized my closet yet! Laundry Schedule: I DON'T HAVE ONE! NEVER HAVE! I try to at least do a load a day. Some days I do more and some not at all. It just depends on my mood or who has told me they don't have any underwear left! 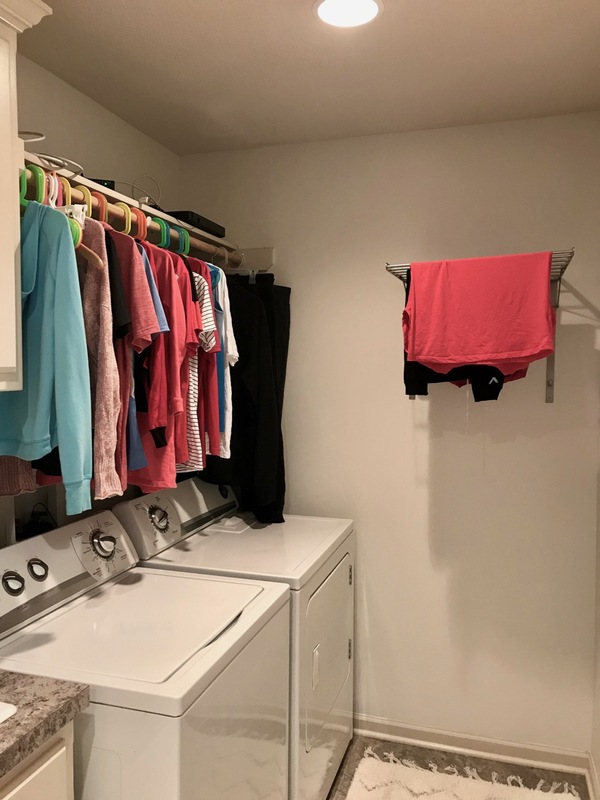 Folding Laundry: I fold all laundry right here in this little laundry room. I don't have a shelf to fold, so I use the tops of the washer/dryer. Kid's clothes get folded and go right in those bins and I pile up mine and Steve's clothes and put away when the pile starts to fall over. Ha! Really, that's the truth. It's easier for me to pull all clean clothes into a pile on the floor and fold right then and there. Dryer Balls: I just recently started using wool dryer balls with essential oils and am loving them! Decor/White Walls: The color on the walls is Benjamin Moore Swiss Coffee. We went cheap in here, linoleum floors and cheap countertop. And recessed lighting. I need something for that large wall so send me your suggestions! Rug: This rug is temporary until I can find a vintage-y runner that doesn't cost a fortune, since I'm the only one that ever goes in here! I need to cover those ugly floors! Washer/Dryer: As you can see, our washer and dryer are probably 10 years old. I prefer a top-loader. Nothing special, but gets the job done. Crossing our fingers we can get a few more years out of them!